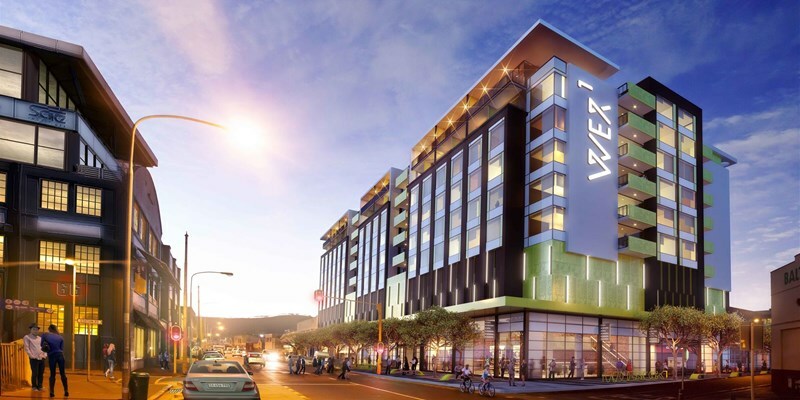 The Stock Exchange, a new hotel managed by Newmark Hotels, Residences, Reserves & Lodges, is set to open in March 2019 in Cape Town’s creative epicentre of Woodstock. Artist impression of The Stock Exchange. The Stock Exchange will form part of the WEX1 development, a mixed-used building that will also comprise residential units, restaurants, a swimming pool, gym, an entertainment deck and retail outlets. The greater building, located on Albert Road opposite the Woodstock Exchange and close to The Old Biscuit Mill, was designed by Vivid Architects and is being developed by property development company, Signatura, in partnership with Indigo Properties. The hotel will include 33 apartment-style rooms, comprising studios, studio deluxe units and two-bedroom apartments. The rooms have been split into three distinct themes (Urban Jungle, Urban Art and Urban Pattern), conceptualised by Designer, Tracy Lee Lynch and her team. The interior design celebrates local talent and the connection with the neighbourhood. As such, furniture and décor items in the rooms will be pinpointed on a “design map” of Woodstock, enabling guests to purchase similar goods and support the region’s artisans. The property is ideally located close to a MyCiTi bus stop, bicycle lanes and a train station, allowing for easy access to Woodstock’s vibrant points of interest and Cape Town’s abundance of tourist attractions.